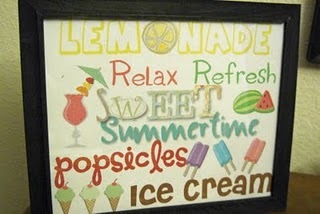 Add a Sweet Summer pieces of art to your hoe this summer with this FREE printable from Making Messes. It is available in several color options and great for framing and placing on your kitchen counter, hanging on your wall or even giving as a gift this summer. Click here to choose and print yours now.